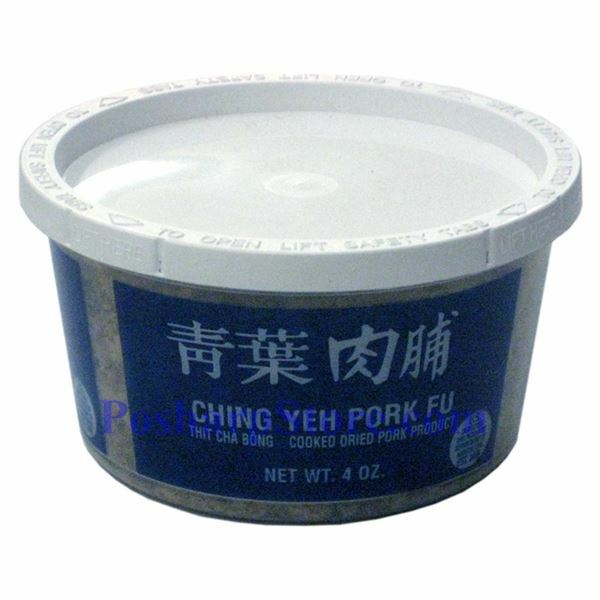 This rousong product is made in US from dried minced/shredded pork. It is used as a delicious snack, topping and filling for many foods, and additives to cooked rice, noodles and sandwiches. Rousong also sometimes called meat wool, meat floss, pork floss, pork sung, is a dried meat product that has a light and fluffy texture similar to coarse cotton. Rousong is used as a topping for many foods such as congee, tofu, and savory soy milk. It is also used as filling for various buns and pastries, and as a snack food on its own. Rousong is a very popular food item in Chinese culture, and evident in its ubiquitous use in Chinese cuisine.